We’ve received a sample of the Magigoo 3D printing adhesive and were eager to try it out. 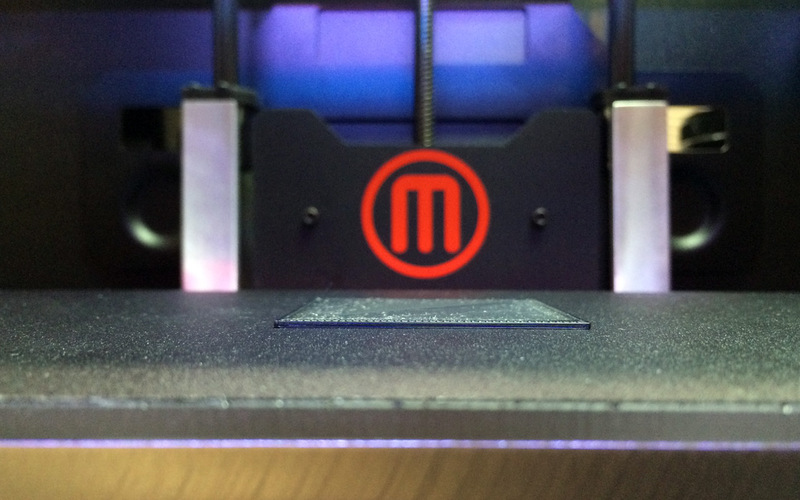 Magigoo is supposed to work with both ABS and PLA materials as well as others and has been specifically designed to keep the 3D print firmly stuck to the bed while printing thus resolving the “first layer not sticking” problem. The idea of this product is to help the 3D printed part to stick while the build plate is hot and to allow the easily removed when the build plate gets cold. The 3D printing adhesive is intended to be used on surfaces such as glass or Kapton tape for example that usually do have some trouble with prints sticking to them well if you do not have a heated build plate. Magigoo is originally designed to be used with heated build plates, but it will also work on cold beds, though the effect might not be not be as good when you have a HBP available. We have tested it with a glass build plate and with glass with BuildTak on top of it with both cold and hot build plate using PLA and ABS filaments and we do plan to continue with ome more exotic filaments as well. Before starting the test we were actually most interested in the effect of Magigoo on BuildTak as this is so far the surface we have found to work best for our 3D printing needs. The Magigoo 3D printing adhesive is very easily applied and you need to wait a bit for it to dry out on the surface before you start printing, if you are using a heated build plate it can dry even faster than on cold bed. On glass it works great with both PLA and ABS, even printing multiple times without reapplying more Magigoo after each print and you still get good results. The 3D printing adhesive works great for PLA on cold build plate – sticks well and is easily removed, but using ABS on cold plate still leads to warping of our test prints, although the prints have a bit less warping. The temperatures we used for the heated build platform was 50 degrees Celsius for PLA and 100C for ABS and with these settings Magigoo worked great – the printed parts stick very well and are then very easy to be removed. With BuildTak covering the glass surface we have experienced interesting results. Magigoo works well in general, but not as good on glass. When we try to remove the 3D printed model it detaches with all of the Magigoo that was applied on the BuildTak surface and is not so easily removed as from glass, but it is still easier to remove as compared to when using BuildTak without Magigoo. Still the good thing is that using Magigoo on BuildTak still helps a bit to make removal easier and to reduce the wear level of the surface, one of the biggest issues it has due to the too good sticking properties that the BuildTak has. 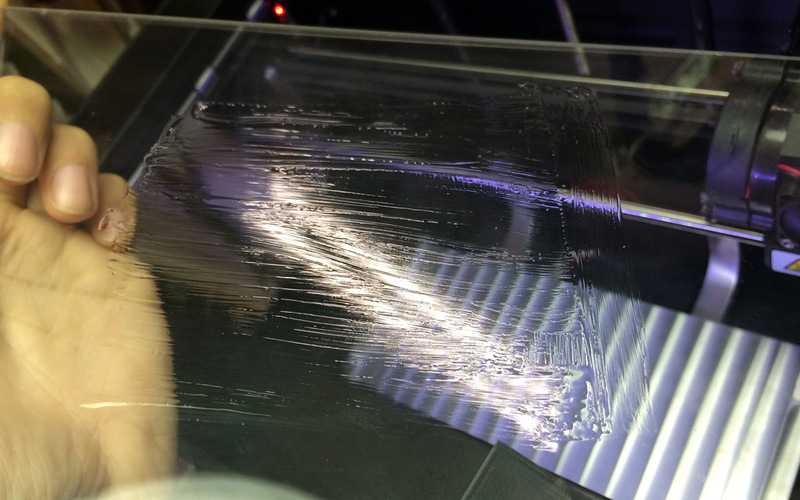 In short, we are happy with the results that the Magigoo 3D printing adhesive provides in helping 3D printed parts to stick better on surfaces such as glass where they may have trouble sticking well on and then making it easier to remove the finalized parts from the build plate. If you are using BuildTak as a print surface you already should have great adhesion, so Magigoo won’t help in that, and due to the good adhesion the removal of 3D printed parts from BuildTak even with Magigoo is still not that easy as when using glass. 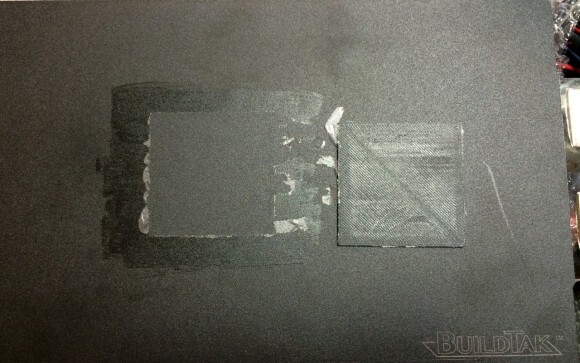 The greatest problem we still have with BuildTak surfaces is that they wear off and can be easily damaged while trying to remove larger objects that stick too well on the surface and thus you end up having to buy more often new build surfaces. So if you are using BuildTak, the Magigoo is probably not going to be very useful for you, but if you use glass or Kapton tape then the 3D printing adhesive might be a great addition to your 3D printing tools, making your life easier. Magigoo is already available for order and you can purchase an applicator bottle containing the 3D printing adhesive that should last for over 100 prints for a price of 15 Euro without VAT and get it shipped Worldwide to you for additional 5 Euro. There is also an option for a more expensive express shipping within the European Union available. The creators of the MAGIGOO 3D printing adhesive for PLA and ABS filaments have released a promotional video also showing the product in action how it helps the 3D printed part to stick while the build plate is hot and how easily it is removed when the build plate gets cold. MAGIGOO is supposed to work with both ABS and PLA materials (as well as others most likely) and has been specifically designed to keep the 3D print firmly stuck to the bed while printing thus resolving the “first layer not sticking” problem. 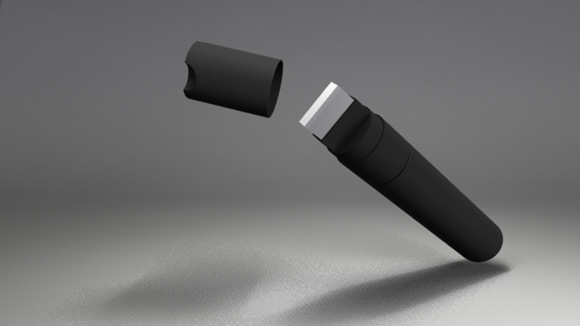 We are expecting to see the product very soon on the market and to be able to test it personally and share our experience with you as well. Magigoo is an upcoming easy to use 3D printing adhesive designed to address “the first layer not sticking problem” – pretty much the most common problem found in Fused Filament Fabrication (FFF) 3D printing. This problem occurs when the print does not stick well and detaches itself from the printing platform ruining itself, that is why perfecting the first layer is vital to get a great foundation for the rest of the print and prevent issues like warping on the edges or failed prints. This will save you valuable time and filament and there are quite a lot of products designed to help you in that, but most of htem are either not universal enough or do not work as well as you’d expect them to. Magigoo is a product deigned to get the perfect first layer thus assuring perfect prints and it is universal enough to support both PLA and ABS filaments and most likely others as well. But it is not only about having the 3D printer part stick well to the build plate, but also to be easily removable after the print is finished and Magigoo should help with that as well. It has maximum adhesive properties at the operating temperature of both PLA and ABS filaments and allows for the print to be easily detached upon completion once the print has cooled down making 3D printing a lot easier and problem free. The Magigoo 3D printing adhesive should come in an easy to use applicator making it very straightforward to apply onto the build plate for a hundred or so prints. Note that the adhesive paste must be allowed to dry completely before starting to print and it can be easily cleaned with water after the print is finished. 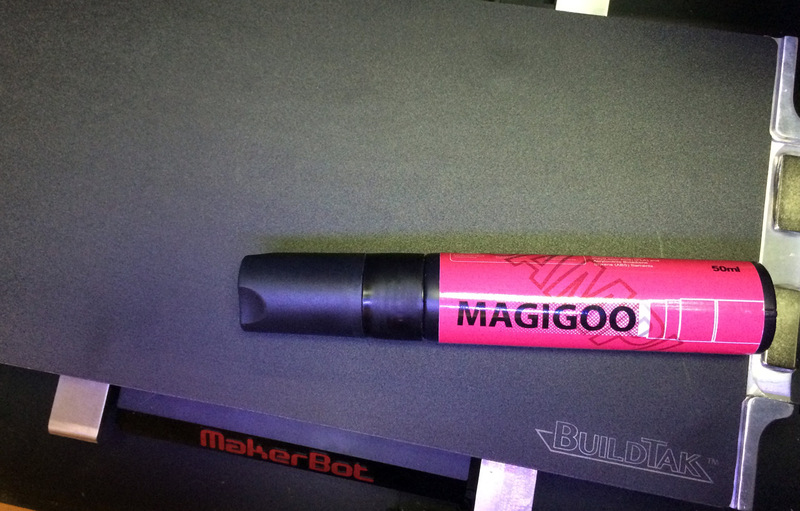 An applicator bottle of Magigoo should be compatible with various printing surfaces and should be at an affordable price when it becomes available very soon.